I wish they had some more "girly" items, like with a "princess" theme. Or at least Minnie Mouse! 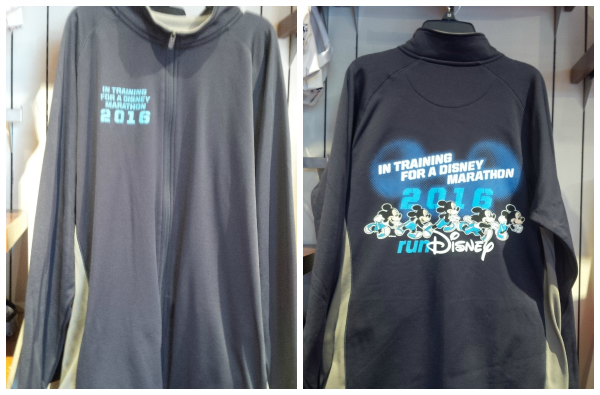 I would also like some generic runDisney gear, without a specific race tied to it. I bought a runDisney shirt from the former Team Mickey a few years ago and always get comments on it. Thanks for sharing these items for us! I totally agree with more "girly" items and about having more generic run Disney gear. 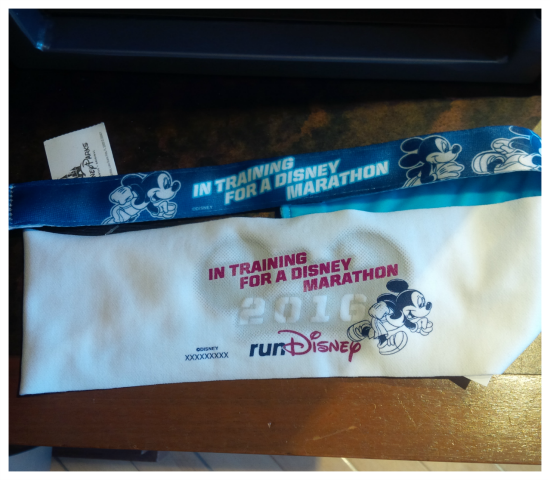 The half zip I bought during marathon weekend was not race specific but I did get in embroidered to say WDW Marathon and I love it! I would wear it, even after the date. It is Disney, after all! I don't like when race stuff is date specific because then I feel like it has a shelf life and it's not cheap stuff to buy either. It's kind of odd they all say "marathon" when there's only one marathon distance in all the runDisney events - you'd think they'd sell more if they said half marathon, or just race, or something! I thought the same thing Erika! Unless of course they are considering a "half" marathon to still be "A" marathon, which is just weird but I'm trying to give Disney the benefit of the doubt. 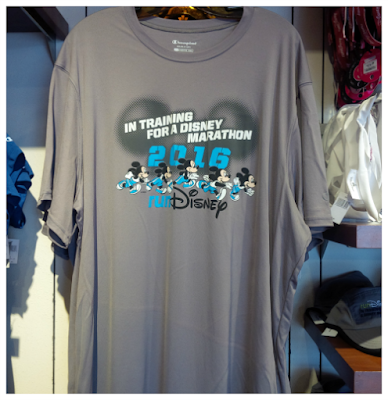 you would think it would say "Training for THE Disney Marathon"? I'm not a fan of the half zips either. You get hot & have to take the whole thing off... boo! What is the price of the women's jacket? I think it was like $79. It definitely was not cheap. The full zip one was even more. So cute! I'm with you on the date, though - I would probably wear it through 2016 and maybe early 2017, but not much beyond that. I also vote that I would love some more-general runDisney items! I'm headed to WDW at the end of this month. It's a quick trip but I might have to take some time to head over to DTD and check this out. That tech shirt is pretty cool. The merchandise can be found at the Club House at ESPN. It is no longer at DTD. Have a fun trip! I love the headbands and the mens fleece! I agree about some more less-dated stuff! Great tips! I'm going in September and I'll check it out. 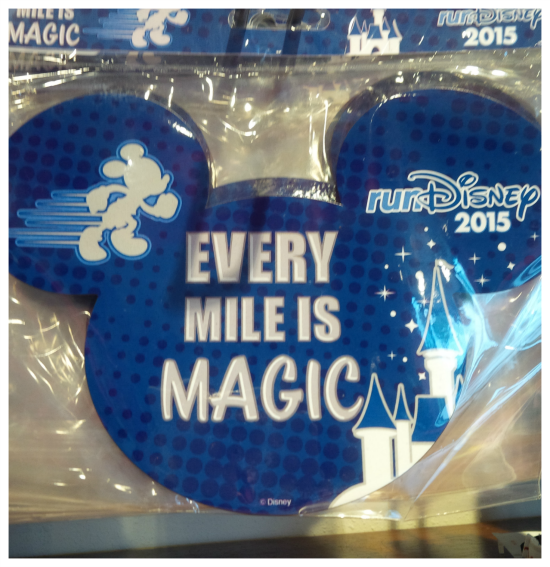 We have run so many Disney races that neither of us needs anything more with the runDisney logo. We did however purchase sweatshirts at TInk because we were cold. Otherwise, we skip the official merchandise now. That's pretty much the same reason why I did not purchase anything there! It's interesting, I just got an email with pics of the merchandise for D23 and my reaction after checking it out was, "Good! I won't spend money!" 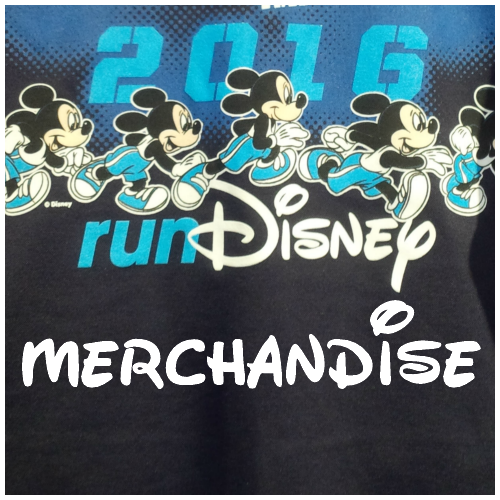 I feel the same way with the Run Disney merch anymore. The Champion stuff is about as low quality as it gets and I rarely like the designs. It didn't used to be that way, but in the last three or four years, it all seems to have taken a dive. It baffles me that people get so worked up over the race merchandise. On the other hand, they're still getting my money through registrations so I can't get too high on a soapbox. I would go for the headband and maybe the hat if it fit well. I bought an "I Did It" shirt at my first Disney half and never wore it. I don't think I bought anything at the second one. I always love the jackets, but then see the price tag and suddenly fall out of love. Yea, they certainly aren't cheap! 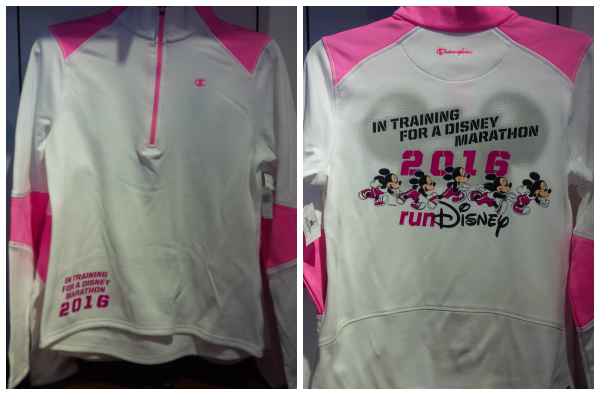 The half zip is super cute! Super cute stuff. I wish they had a visor! I am in a long process of decluttering my life in general, and have realized I have WAY too much running/race shirts, jackets, tanks, and tees. 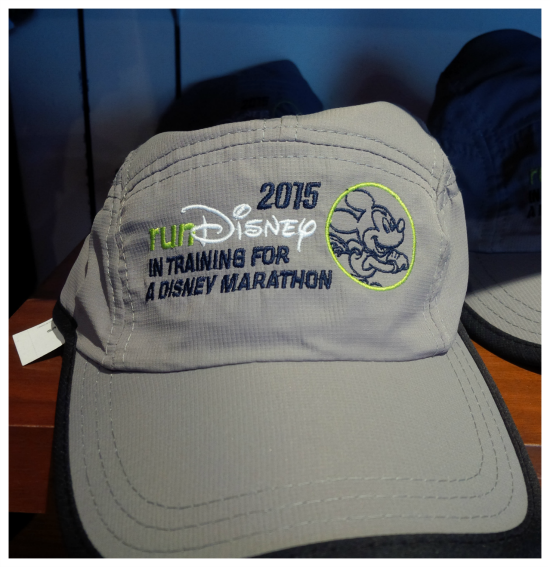 But Disney is SOOO special I would definitely buy one if I was running the race. This was all on sale during Marathon weekend at the expo which is why it all says marathon. Makes sense now that it never ended up at the outlet because they brought it to ESPN! Are you aware if there is any way to purchase the "in training" jacket online or by calling somewhere?